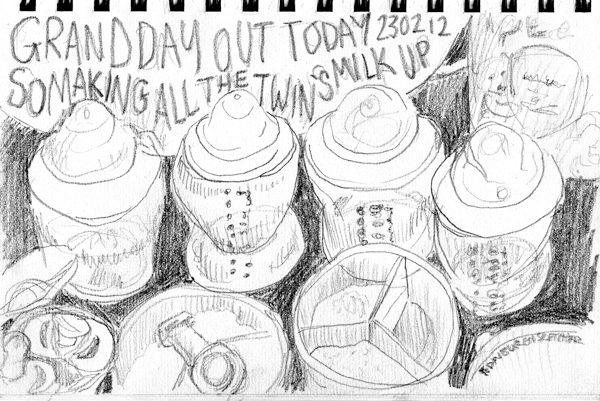 … planned today, so we need lots of milk for the kids. All lined up are the bottles of water and the powder is in the containers ready to be mixed when needed. We’ll need some food for lunch too, best get a move on. Time twisters is first up….